The Yamaha Reface YC synthesizer is a small but powerful instrument. Weighing only a little over 4 pounds, it's easy to transport, which makes it ideal for bands that are on the road a lot, but love to incorporate that vintage organ sound into their music. Even though this Reface is a versatile, modern instrument, it boasts a distinctly vintage sound. There are five organ types to choose from: Hammond, Vox, Farfisa, Ace Tone and the Yamaha YC-45D - all legendary models that played a big part in pop music history. The YC features Yamaha's own AWM sound engine, which is based on individual organ pipes. To make your organ performance even more convincing, you can mix and match the various organ registers by means of nine drawbars. With the Reface YC, there's really no need to hold back. Whether you're a classical organist or an authentic prog rocker, a polyphony of 128 voices makes sure no notes are dropped. The synth's effects section includes rotary, distortion and reverb - classic effects that are an integral part of the characteristic organ sound. 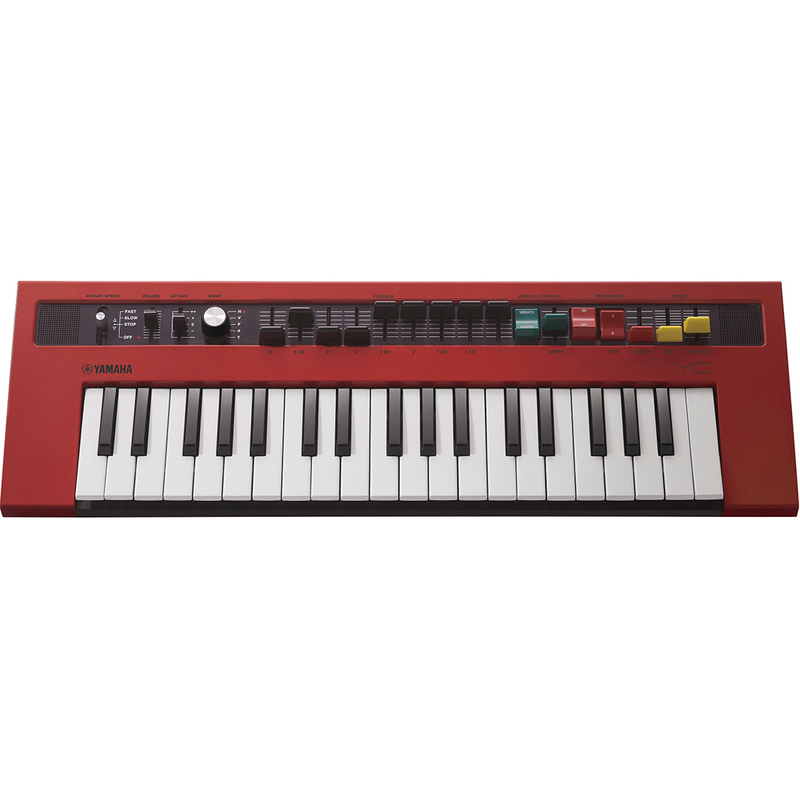 Its compact design features 37 high-grade mini keys, but if you like, you can use the DIN-MIDI connector to plug in a different keyboard. It's also possible to connect the Reface to your computer via USB. The YC's aux input, meanwhile, allows you to use the MP3 files on your phone or tablet as a backing track.